25 Leadership Gurus in the world according to TopLeadershipGurus.com. He splashed onto the world scene with his book Launching a Leadership Revolution; a NY Times, Wall Street Journal, Business Weekly, USA Today, and Money Magazine best-seller that he co-authored with Chris Brady. He has co-written many best selling books with Chris Brady and recently released his first solo book, RESOLVED: 13 Resolutions For LIFE. As a recognized leader in team leadership, success coaching and executive management training, Mr. Woodward has been a much sought after motivational speaker around the globe. the breakdown in communities across the United States and Canada. Concerned that people without foundational principles are cast adrift in the world, Orrin founded LIFE in an effort to stem the decline. Orrin’s goal is to build systems and principles to help communities and individuals grow in leadership to achieve their personal, professional, and community goals. LIFE combines the best attributes of three successful professions: Networking, Leadership/Personal Development, and Community Building. LIFE’s goal is to help 1 million people effectively change their lives forever. LIFE’s stated purpose is to change lives by helping individuals grow into purpose-driven leaders as they grow successful community-based businesses. bringing lasting, personal change into the lives of thousands of families. By providing timeless truth and education in each of the 8F’s of LIFE (Faith, Family, Friends, Freedom, Finances, Fitness, Following and Fun) in entertaining, interesting and personal ways, lives are changing for the better. Orrin’s latest Publication: RESOLVED – 13 Resolutions for LIFE by Orrin Woodward, his first solo project, is a book that takes us back in time to recapture the essence of what made America great while at the same time beckons men and women to step up and recapture those principles and begin living them today. It is at once a book of resolutions to assist a person in forging himself a true leader, a textbook of instructions to serve as a guide in tackling life’s toughest challenges, and lastly, fully inspirational in capturing the heart and soul of leaders who have lived and achieved using the principles in this book. Resolved: 13 Resolutions for Life, is a must read for anyone desiring to capture, in one book, the essence of the proven leadership principles of Orrin Woodward. Orrin holds four United States Patents, an exclusive National Benchmark Award for product analysis and has also been recognized in national trade journals. Orrin was honored to be listed as one the ‘Worlds Top 25 Leadership Experts’ at www.topleadershipgurus.com, which highlights the top 25 leaders in the world. 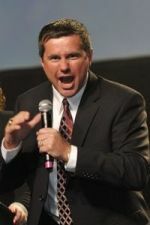 He was also honored as one of the Top 250 people to follow on Twitter (@orrin_woodward on Twitter). Orrin Woodward’s highly popular leadership blog www.OrrinWoodwardBlog.com has received international acclaim as an Alltop Leadership Selection, HR’s Top 100 Blogs for Management and Leadership, and a Universities Online Top 100 Leadership Blog. I admit it… I am SICKENED that even though there are what seems like 1,000 times more people that have been positively impacted by the teachings from LIFE, TEAM, Orrin Woodward, Chris Brady and other fine men and women in their organizations than those that didn’t… Yet there are 100?s of comments on these critics websites (yup 100’s of comments by just A FEW people) attacking something they don’t necessarily know much about. The Internet is an open forum for all to share their perspectives. If YOU or someone you know have been positively impacted by LIFE, TEAM, Orrin Woodward, Chris Brady and their organizations, books or audios… PLEASE share your personal experiences here by leaving a comment. If YOU have been negatively impacted by LIFE, TEAM, Orrin Woodward, Chris Brady and their organizations, books or audios, share that here as well so they may improve. Asking me what I think about critics is like asking a lamp-post what it feels about dogs. These people on the TEAM are beyond reproach. Their hearts are in the right place. Critics don’t count. They are irrelevant. I love what Chris and Orrin have started with LIFE. I have been impacted by what they teach greatly. First and most important is my relationship with Christ. It was at my first Team major over a decade ago that I heard Tim Marks talk about his relationship with Jesus, that influenced me to see who this Savior was and has forever impacted my life, thank you Team and Tim Marks. Also I grew up in a very broken and disturbed home, the things I was learning at Team events were unreal in my mind and so breathtaking. I was exposed to real truths of life-character, honesty, faith, integrity and the list can continue to go on from there. The launching of LIFE and now the MFC is what I believe the greatest business for ourselves, our communites and our country. I am personally watching so many people grow and develop right in front of my eyes. I really believe that to have real lasting change it starts in an individuals heart, not in an election. And I really believe that the hearts of men and women are truly being touched, and real change is happening through this organization. I look forward to what the future holds for LIFE and those involved with it. I have admired Orrin for nearly 10 years now since I first heard him speak near my home. I have been fortunate to a small part of his organization for the last couple years. If I gained nothing but the life changing wisdom this man not only imparts but lives, my investment would be well worth it. In today’s world not everyone walks his talk or puts his money where his mouth is but Orrin is a man of character and conviction and he does both. I can honestly say I am a better person today than I was even a year ago because of my affliation with his company. and those around me would support that assessment. I wasn’t exactly on the the street before. I’m a single mom who has raised to college educated young women who are employed and doing well. I worked in education for over 30 years and rose in ranks because of what I learned from Orrin from a counselor to the State DOE as part of a leadership team in professional development for teachers and administrators. With most things in life you get out of them what you invest in them. I can’t thank Orrin and his team enough for what they are doing. I do believe that a small group of committed people can change the world. I admire and respect Orrin Woodward for everything he has done and for what he stands for. He is an amazing example of what not quitting when times get tough truly is, for leading from the front, for standing up for what he believes in, for helping people see that they have it inside them they can do the same. Thanks Orrin for all you do!!! Its appreciated!! Since joining the LIFE Team community I have been reading great books, listening to amazing talks on developing leadership and life skills, and associating with winners. This has not only changed my outlook on life but also my marriage. My wife and I had a very strained relationship prior to joining LIFE. I was an impatient and explosive kind of guy but because I have applied some principles taught in the LIFE program I am so much better at communicating with my wife and can now control my temper. How can you put a price on that?! I’ve had the privilege of being around TEAM for quite a while now. The one-on-one time that I’ve had with Tim Marks, Jim Martin, and Tim Jarvinen among others has allowed me to see these men and their families in normal, every-day life. Those experiences made my respect skyrocket for what LIFE and TEAM teaches. The policy council and round table members are a group of people that practice what they teach. My time in team has reversed the trends to the positive in my finances, has taught me how to be a better husband, son, and friend, and most importantly, I came to faith in Christ – not because someone in the team told me to, but because the men I mentioned earlier live a Christian life and it is apparent in the way that they and their families act. The fruit of their character was everywhere. It was refreshing to see Christians that actually tried their best to act like the person they’re following. I’m forever grateful for what LIFE and TEAM have done in my life.